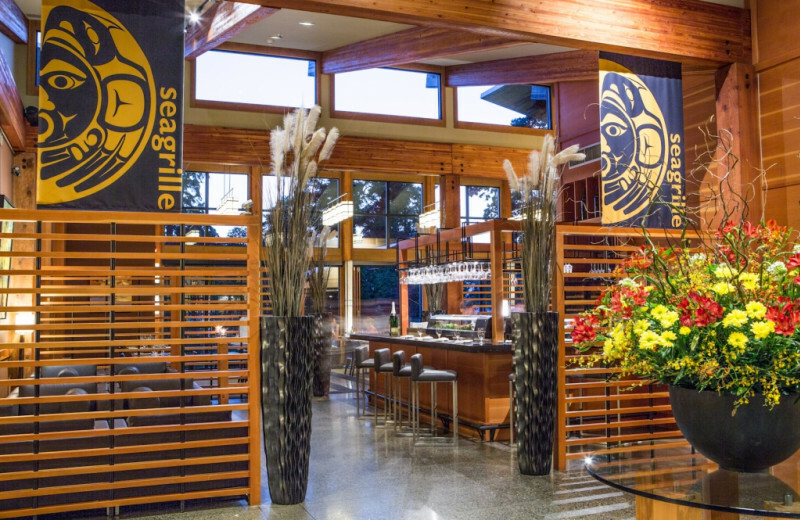 Get Close on the Canadian Coast at Brentwood Bay! 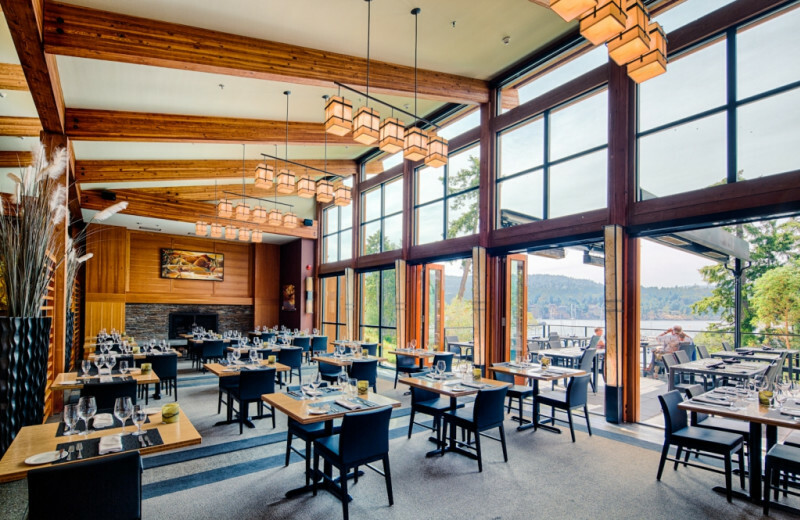 Featuring understated elegance and overlooking the ocean and mountains beyond, the Brentwood Bay Resort & Spa is one of Canada’s best romantic rendezvous! 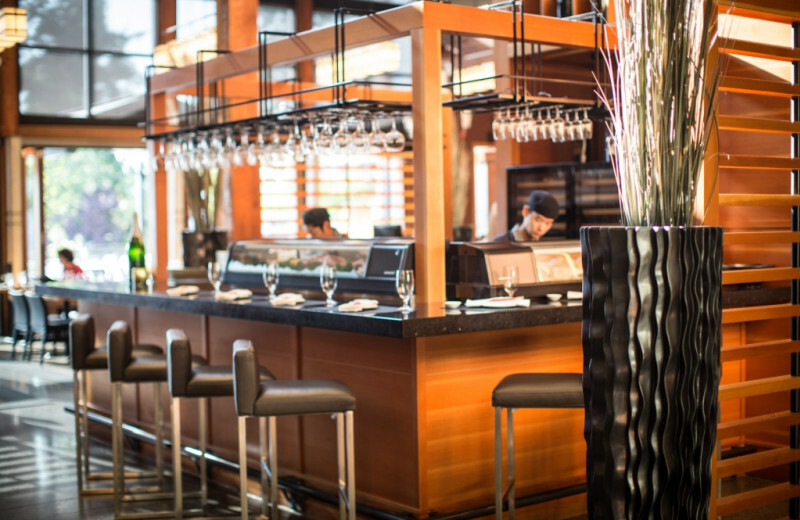 Victoria’s only five-star resort, this is the perfect place to be pampered. Choose from oceanfront suites, villas, and guest rooms, all of which feature breathtaking views and an abundance of amenities. 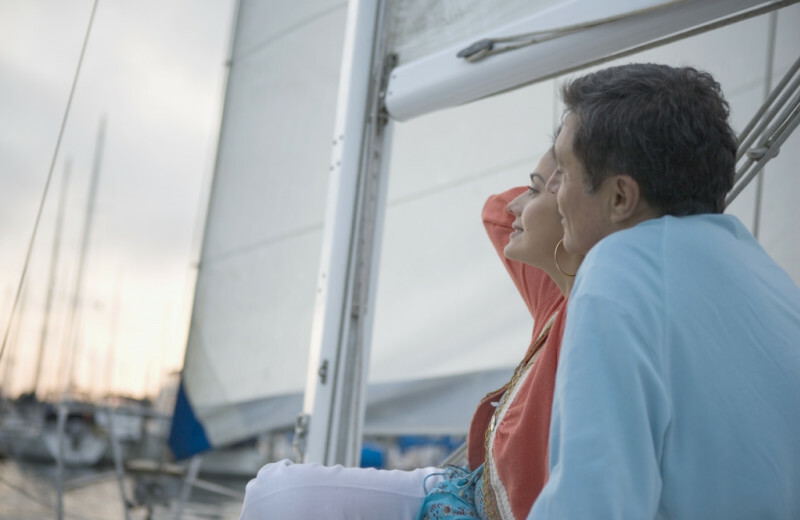 Stretch out on your private patio, cuddle beside the fireplace, sip champagne in the Jacuzzi, flip on the 40-inch flat-screen television, or watch the sun dancing on the Pacific water’s surface from your balcony. 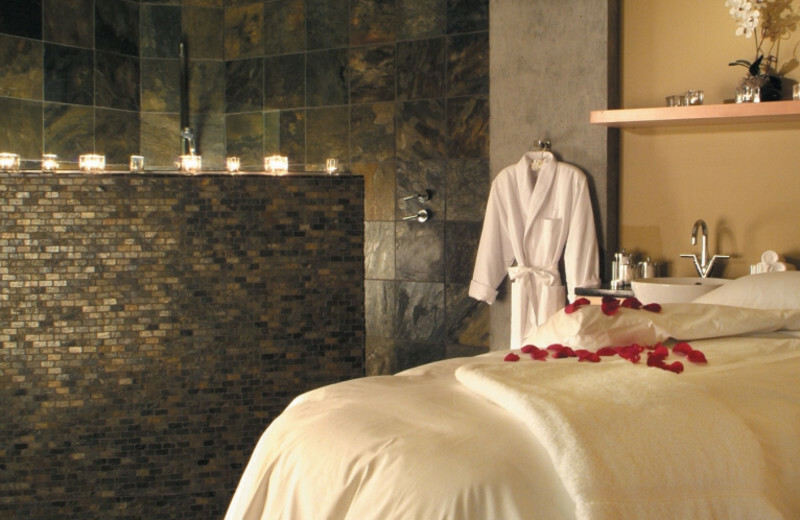 Rejuvenate at the spa, which features massages, facials, nail treatments, and body wraps to soothe your body and soul. If you’re in search of family fun, you’ve come to the right place. Make a splash in the shimmering swimming pool, rent a kayak and paddle the Pacific, or observe the vibrant marine life on a scuba diving expedition. 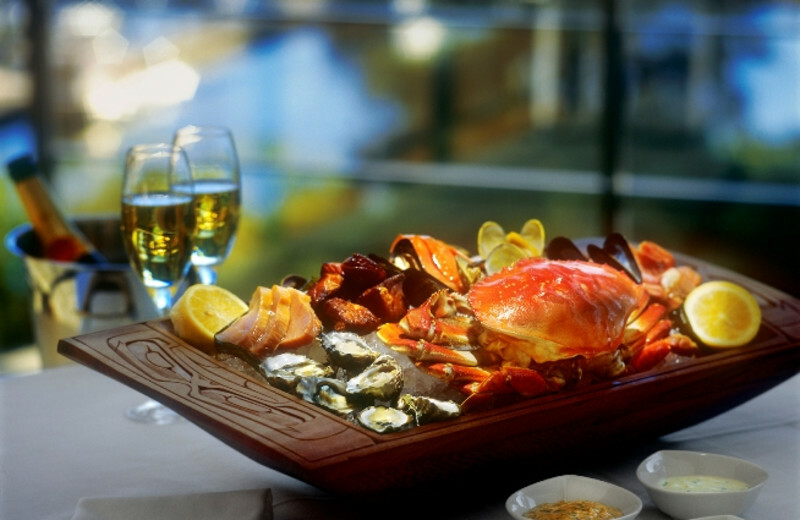 After an adventure-filled day, stop by the onsite Seagrille for some fresh seafood by the sea. 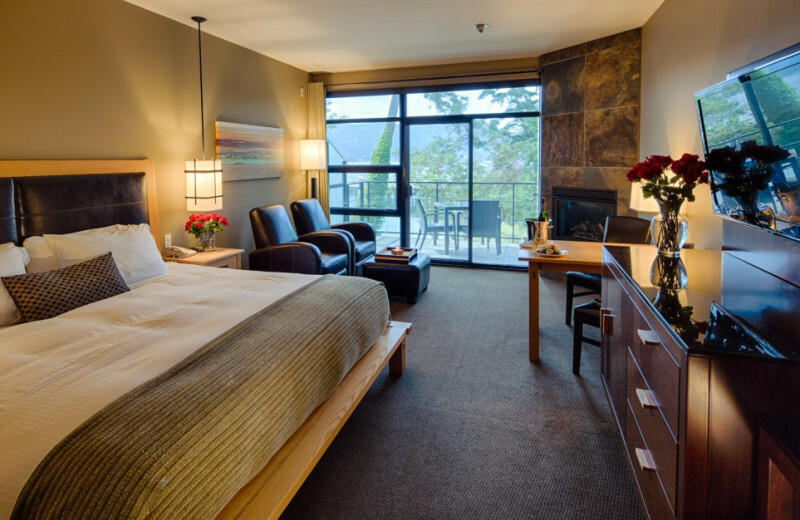 With Brentwood Bay, you’ve found your Pacific palace! Find family fun both onsite and in the Canadian countryside! Splash around in the sparkling pool, enjoy a movie on your 40-inch flat-screen television, or bond on the oceanside patio. Afterward, head out for diving, fishing, and hiking adventures in the great outdoors! 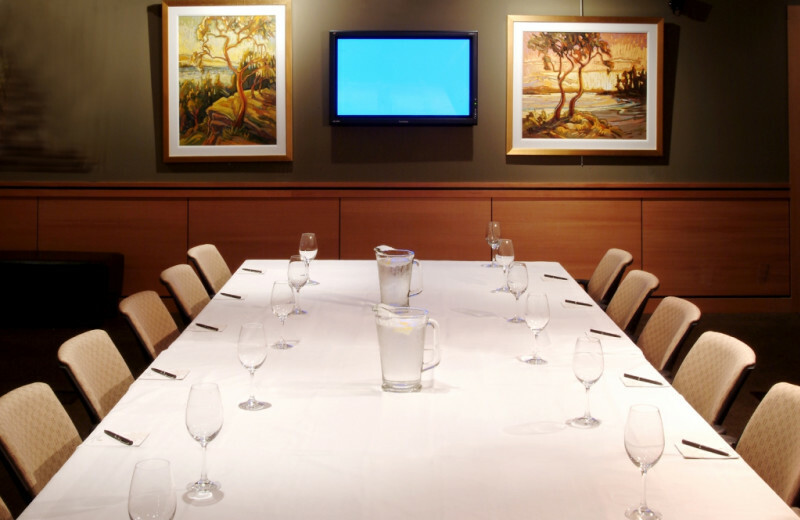 Accommodating up 70 guests each, Brentwood Bay’s two executive conference facilities are perfect for weddings, banquets, board meetings, seminars, and more! Offering both audio visual supplies and awe-inspiring views, this resort combines business and pleasure! 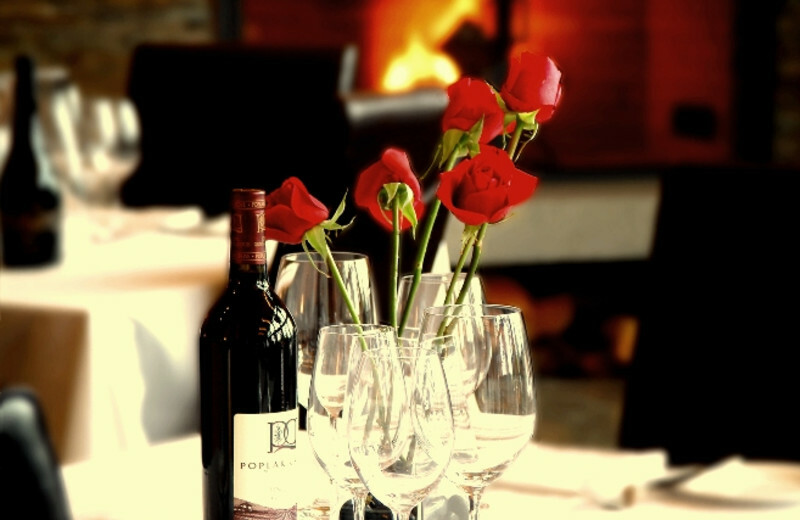 Make your dream wedding a reality at Brentwood Bay! Every detail is planned to make your "I do's" an unforgettable experience. Executive conference facilities provide enough space for grand galas and private parties. And, the stunning natural setting makes for beautiful ceremonies! Nature is always within reach at this secluded sanctuary! Step outside and you'll be greeted by the wandering waves of the Pacific Ocean. Explore the marine life on a kayaking or diving adventure. If you'd prefer to stay dry, trek through the lush Canadian hiking trails! If you’re looking for a deep-sea fishing expedition, you’ve come to the right place. Just a stone’s throw from the fish-filled Pacific Ocean, you can fish from the shore or enlist the expertise of a guide on a chartered expedition. Reel in many species of salmon and other finned fish! 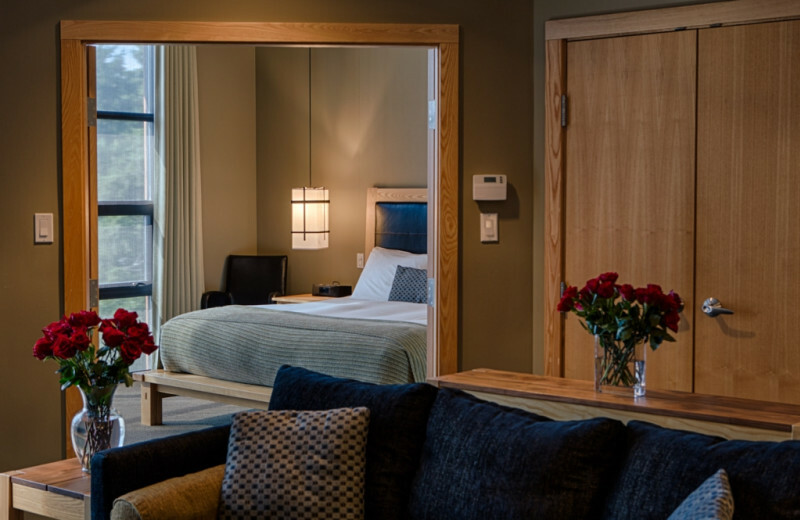 This five-star resort is known as one of Canada's most romantic destinations. 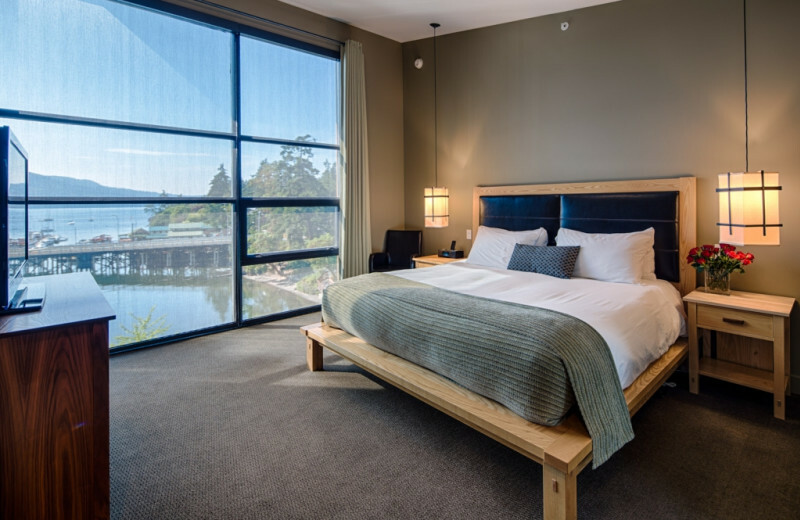 Featuring couples' spa packages, breathtaking views, and a host of amenities, Brentwood Bay is the perfect place to spend time alone with that special someone. Sip wine in the Jacuzzi, walk hand-in-hand through the secluded trails, or relax together at the spa! 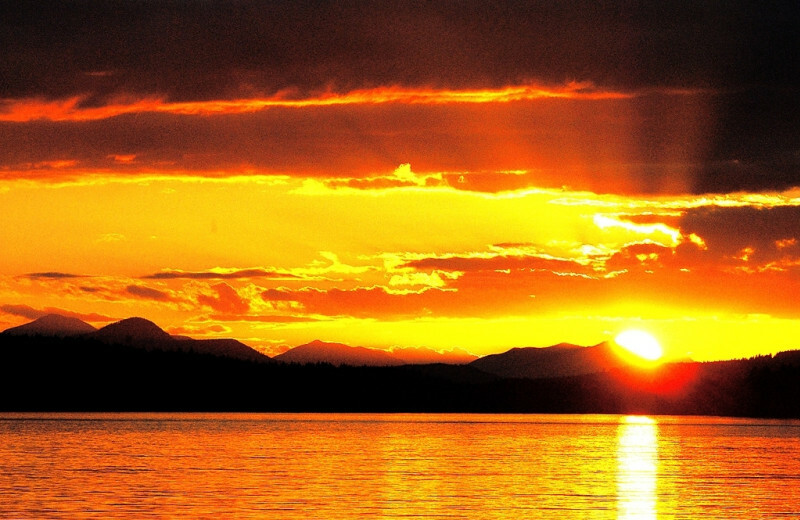 Experience the pristine Canadian wilderness on an ecologist-guided cruise! 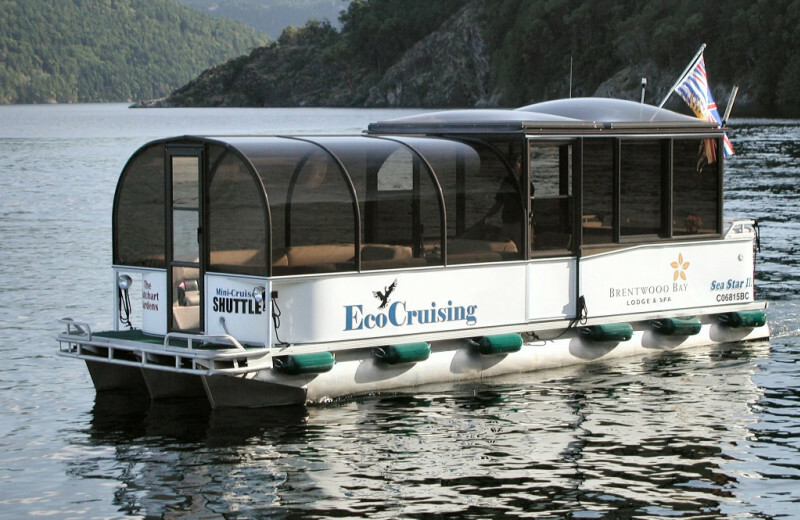 You’ll discover starfish, seals, and eagles as you float down the beautiful Pacific Ocean. 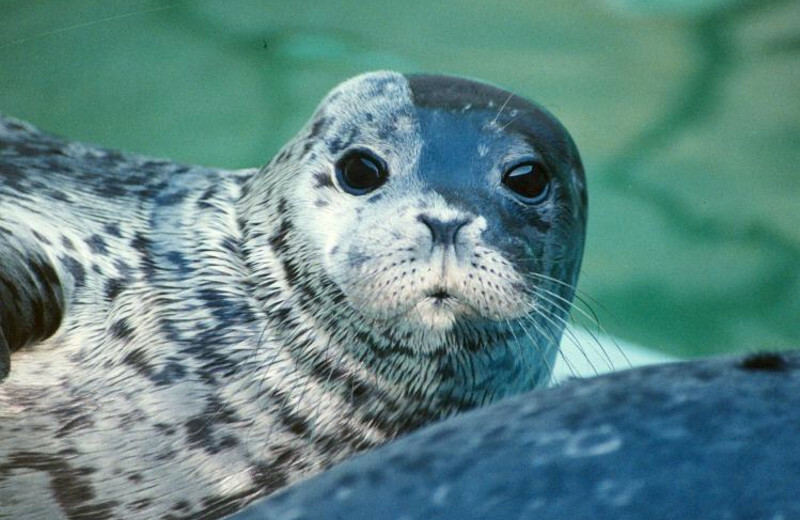 These tours can last anywhere from one to three hours and allow you to learn about the unique surrounding wildlife! Experience Pacific pampering at its finest! Suites, villas, and guest rooms feature private balconies, 40- to 46-inch flat-screen televisions, elegant fireplaces, and gourmet kitchens. Rejuvenate with a Jacuzzi dip or a rejuvenating treatment at the onsite spa! 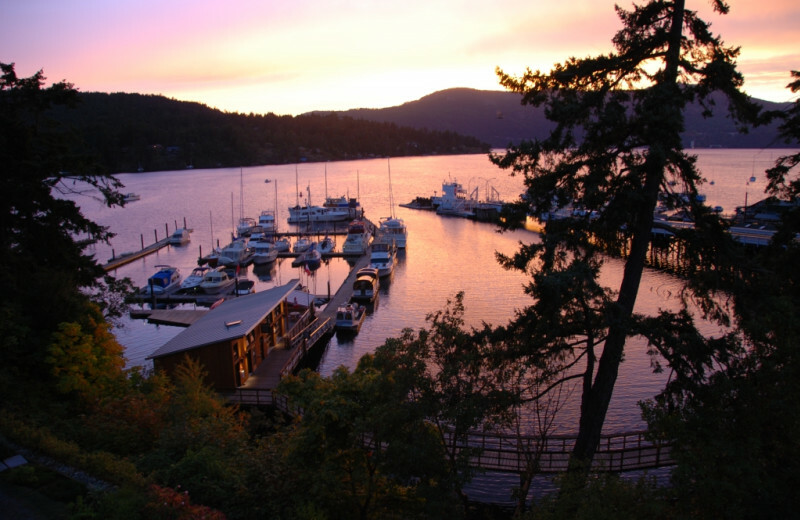 Featuring a wealth of luxurious amenities and stunning scenery, Brentwood Bay is the perfect newlyweds destination! 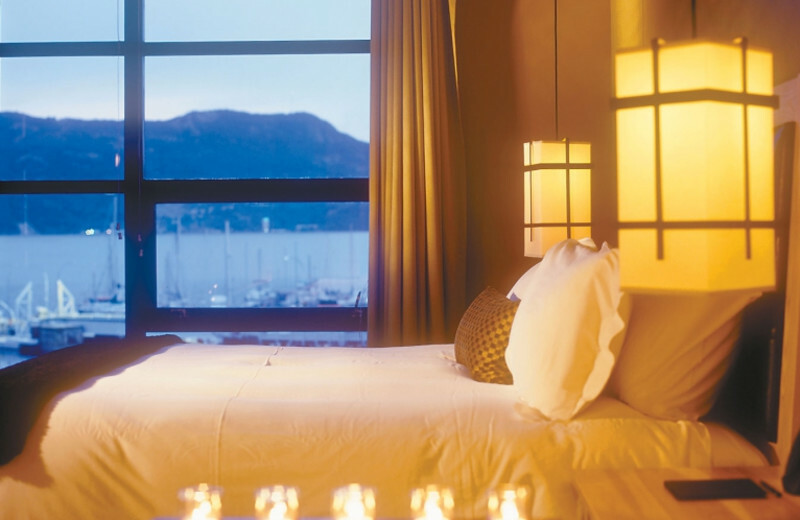 Sparks will fly with the 2 Night Spa Lovers Escape Package, which features two nights in the luxurious OceanSuite and a $100 spa certificate! Prepare to experience the Pacific! 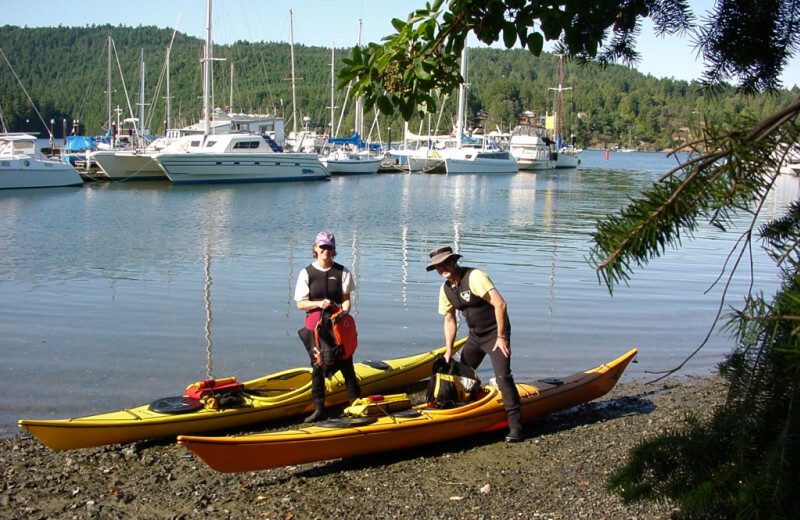 Offering full equipment rental, experienced professionals, and year-round diving, Brentwood Bay allows you to swim with the seals, explore the GB Church shipwreck, or charter their custom dive boat and explore the aquatic animals of the inlet! Proclaimed "the finest resort spa on the West Coast" by Frommers Guidebook, this rejuvenation center doesn't disappoint. Natural ingredients and essential oils heal your mind, body, and soul during treatments that include massages, body wraps, facials, and nail treatments! 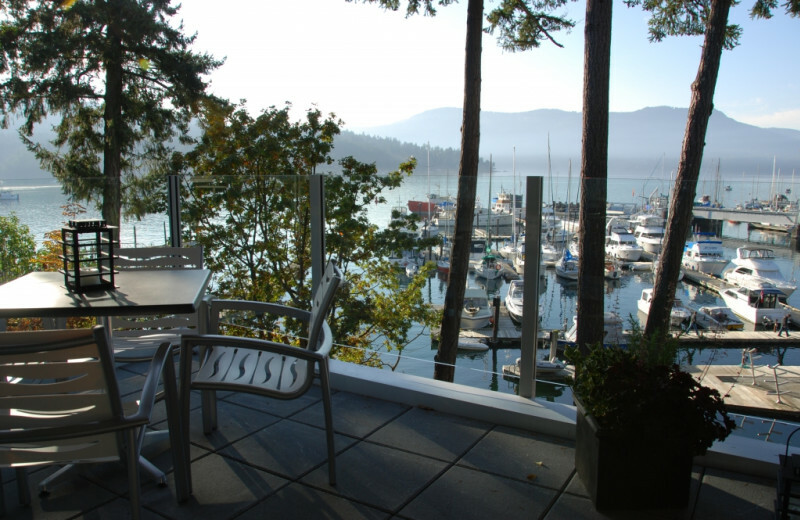 Villas, Suites and Condos, await you when you stay at Brentwood Bay Resort & Spa! Huge TVs are in every room, there are huge kitchens and beautiful fireplaces! This is the place to experience relaxation and renewal, unlike anything you've experience before! 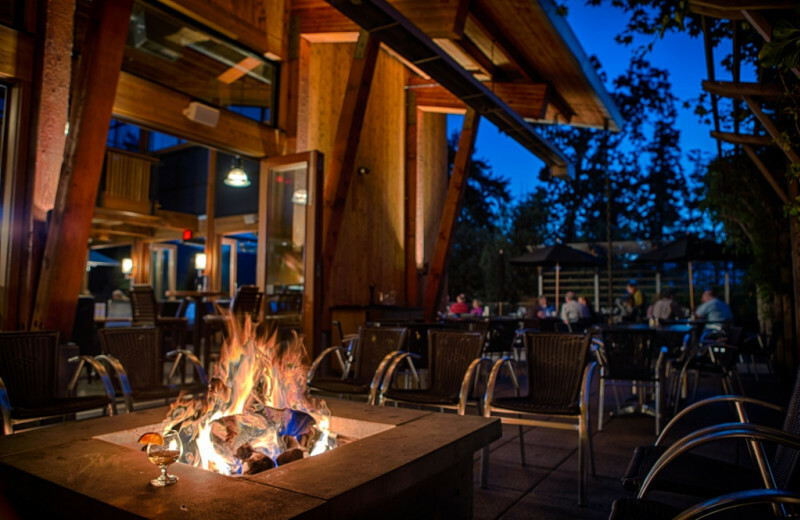 All at Brentwood Bay Resort & Spa! 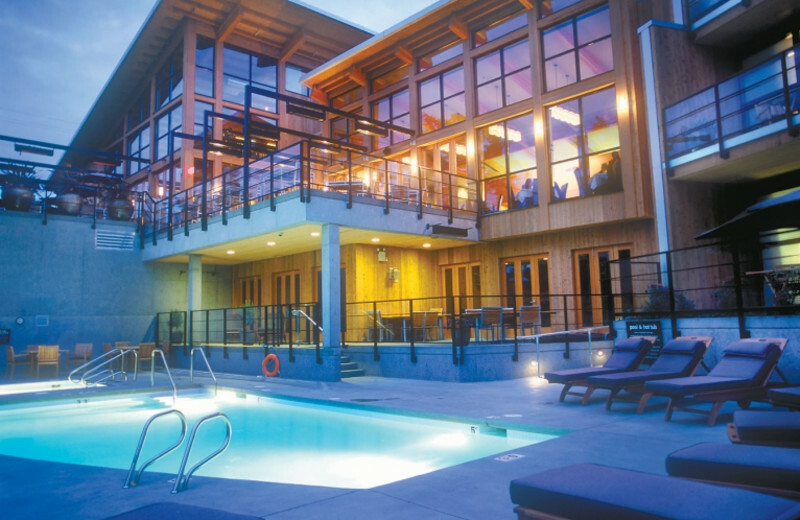 This property is ranked number 4 on Top 10 Victoria Hotels and Resorts. Read about it here.